Lips' real name is Steve Kudlow. Glenn Five's real name is Glenn Gyorffy. In 1989 Dave Allison left ANVIL. He was replaced by Sebastain Marino. 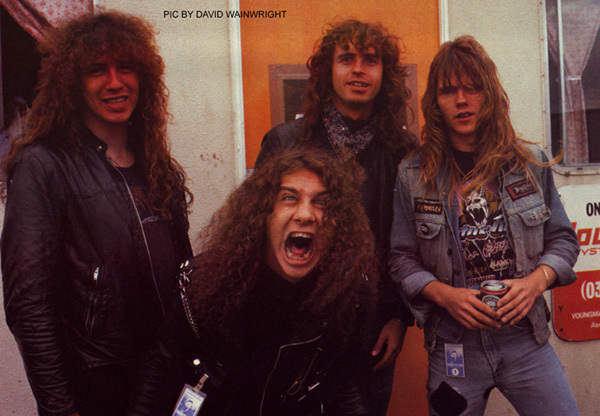 Sebastian was the first non-Canadian ANVIL member. 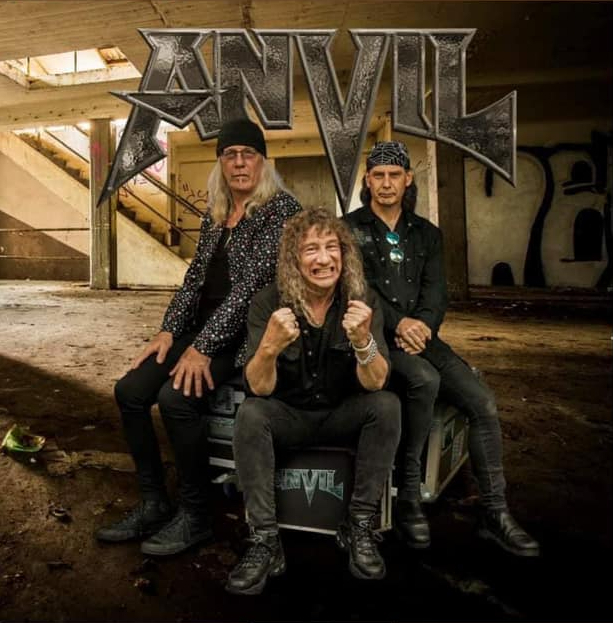 He left ANVIL in 1995 and joined Overkill. 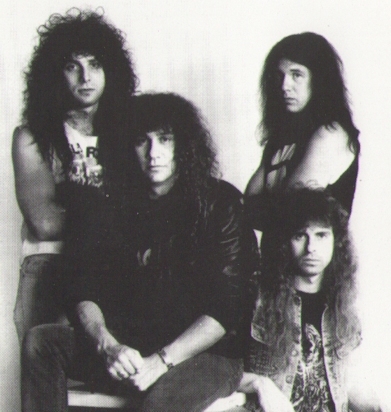 Sebastian was replaced by guitarist Ivan Hurd. Ivan left in 2007 and was not replaced. 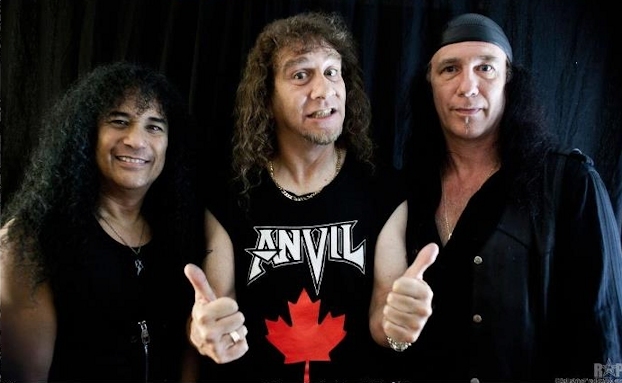 ANVIL has been a three piece ever since. 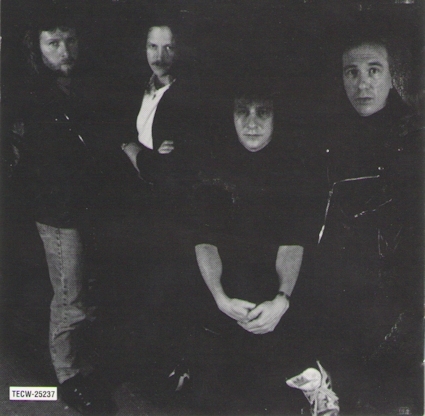 Ian Dickson left the band in 1993. He was replaced by Mike Duncan. Mike left in 1996 and was replaced by Glenn Five. Glenn quit in 2012 and was replaced by Sal Italiano. Sal was the second ever non-Canadian ANVIL member. In 2014 Sal was replaced with Chris Robertson. 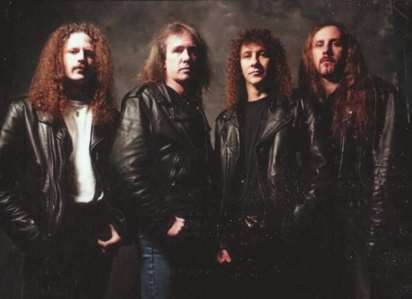 Sebastian left Overkill in 1999. Michael Phillip Wojewoda plays the intro to "Thumb Hang" on THIS IS THIRTEEN he was the Engineer for this track. Franky Perez (Scars On Broadway) sings lead vocals on "Slip Kid", a The Who cover from Sons Of Anarchy (season 2, episode 1) and the related soundtracks, SONS OF ANARCHY: NORTH COUNTRY and SONGS OF ANARCHY: MUSIC FROM SONS OF ANARCHY SEASONS 1-4. Lisa Joy Pimentel plays horn, trumpet, trombone, clarinet and saxophone on "Swing Thing" on JUGGERNAUT OF JUSTICE. She is the wife of the albums Producer, Bob Marlette.